Hey! Is that a Ninja Gaiden Sequel? So last week I was talking Ninja Gaiden and how it was awesome in terms of gameplay and all when I first played it on an Xbox, and also a brief introduction about what the game involves. So this week, I’m going to continue talking about Ninja Gaiden, but it will be about the second instalment to the series; Ninja Gaiden 2 (well actually Ninja Gaiden: Sigma 2, since that was the game I played on my Playstation 3). 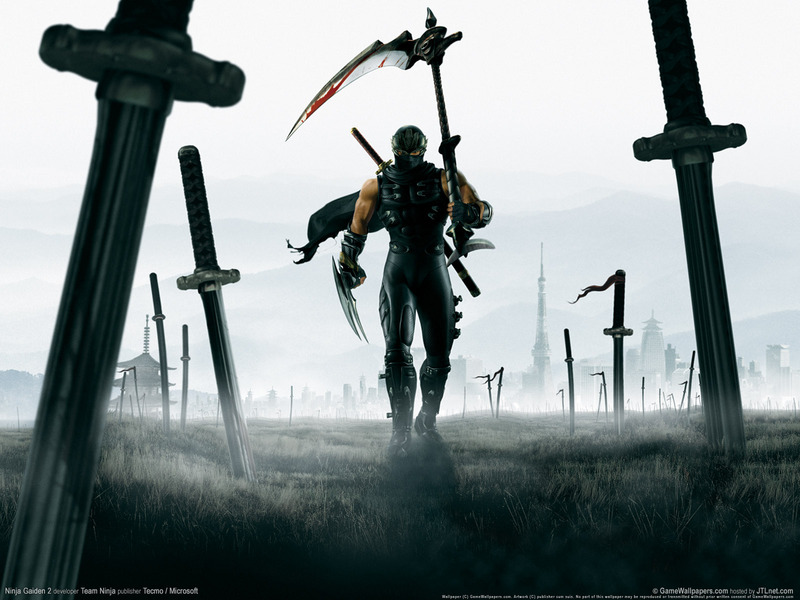 So, Ninja Gaiden 2 takes place ONE year after the events of the first game Ninja Gaiden. With the story beginning with this really attractive CIA agent that was finding out Ryu’s whereabouts to let him know about the Archfiend and out of the blue, Evil Ninjas from the Black Spider Ninja Clan, appears and kidnaps her! So long stories short, Ryu comes out of nowhere and stops them and rescue her after some great fights in which you will play and even fighting some giant statue which was kind of fun-ish.. So, what I want to say is, Ninja Gaiden 2 features a new original story plot and it was really fun playing it, with new playable characters! Like Ayane from the Dead or Alive series (if you don’t know who she is) Momoji, and yes! Rachel the fiend-hunter from the first game! Gameplay has been revamped but the most basic element of tearing your foes apart still is a huge part of the game and the Cinematic scenes for the game is just W-O-W! However, most of the gory parts are gone as purple mist replaces the blood and dismembered body parts will just disappear after a time period. Major additions would be the multiplayer function that is added and the online gameplay would include co-op missions with people all over the world! So, if you’re looking for an action packed adventure with friends all over the world, try out the multiplayer mode, but if your connection is bad, prepare for some major lag issues! This trailer really knocks my socks off, and the gameplay is really…. Go on, just take a look for yourselves!